The new and improved way to soak feet is here. 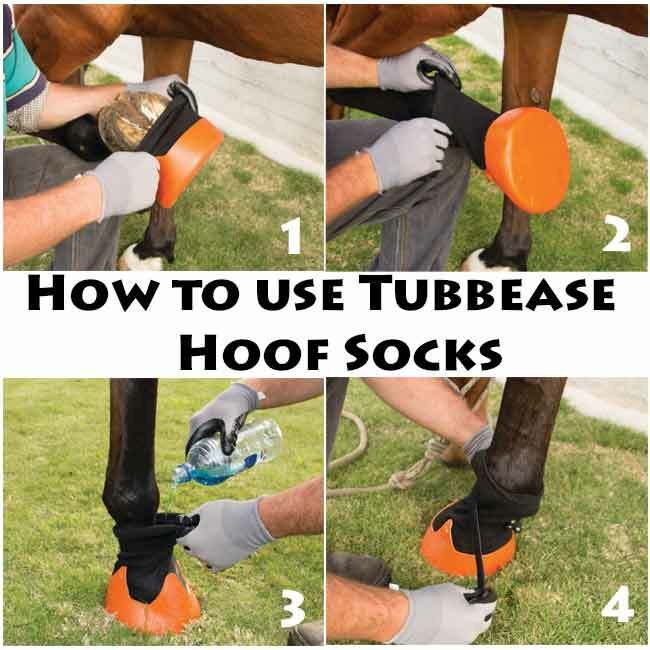 The Tubbease Hoof Sock is a new technology that utilizes a rubber dipped sock and Tubbease cup combination for an easy hoof treatment aid. Erin Hampson-Tindale, a farrier from New Zealand, created this aid in response to stewing occurring during poulticing. 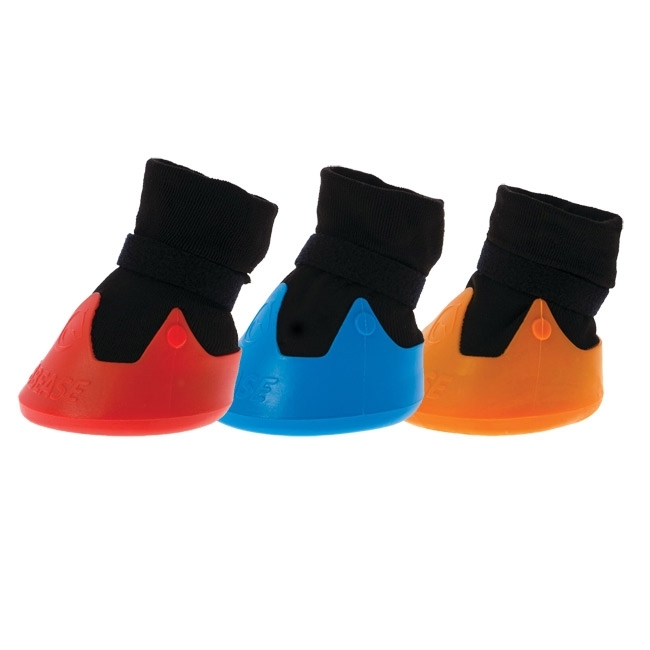 The rubberized sock of the Tubbease breathes as it protects and soaks the hoof keeping the hoof from going soft while being treated. Not only does the sock portion allow for breathing but it also keeps friction to a minimum to avoid chaffing. This unique design is topped off with a Velcro fastener so that are able to easily apply it and use it over and over. This Tubbease Hoof Sock can be used for treatments of abscess, thrush, seedy toe, thin sole, injuries, cracks, and many more ailments. 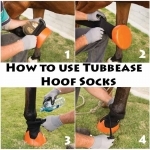 Purchase the corresponding Tubbease EVA Sole-Pad to put in your Tubbease Hoof Sock to help relieve pain and extend the life of your Tubbease Hoof Sock.